Knowing how to read your tire codes can significantly help you in shopping for the right products for your car. After all, knowledge is power and it can assist you in making an informed decision when you choose the right tires for your vehicle. 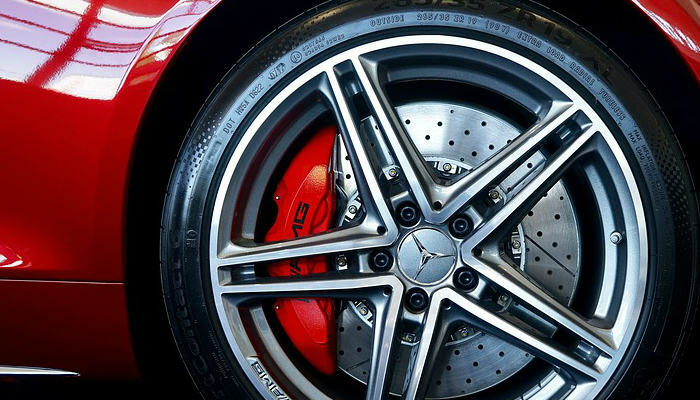 Years ago, the tire industry came up with a set of standards for the details embossed on the tires’ sidewall. When you look at it, you will see an alphanumeric code that indicates the tire size, manufacture date, inflation, and other essential information. In this article, we are going to discuss what they mean. This can also be useful when you plan on changing the tires of the vehicle you bought from a Japanese car auction. Typically, you will find an abundance of P-Metric tires in the market. The letter ‘P’ represents passenger cars, which means that tires with this indicator are intended for vehicles like sedans, minivans, SUVs, and light-duty pickup trucks. Also referred to as Euro-Metric tires, Metric tires do not have a letter designation. When it comes to dimensions, their sizes are the same as what P-Metric tires have. However, there are just some slight differences in their cargo-carrying capabilities and ratings. Typically, Metric tires are used for European vehicles. On the other hand, they can also be used on vans and SUVs. LT stands for Light Trick Metric sizes for tires intended on vehicles that carry heavy cargo or tow trailers. LT Metric tires are used on full-sized vans and SUVs, as well as on medium-duty and heavy-duty pickup trucks with capacities ranging from ¾ ton to a ton. Tires with the LT suffix are designed for light-duty to heavy-duty pickup trucks with carrying capacities ranging from half a ton to a ton. They can also be used for vans and sports utility vehicles. If the code begins with the letter ‘T’, it indicates that the tire is a temporary spare. Also referred to as space savers or mini spares, these tires are intended for use for a short period until they are replaced accordingly. If the tire code begins with ‘ST’, you should only use it on boat, car, or utility trailers. The letters stand for ‘special trailer’. Commercial tires are specifically designed for vans and delivery trucks that can carry heavy cargo. These tires are also identified based on their service description rating or load range. You will know the cross-sectional width of a tire by looking at the three-digit number which follow the service type prefix. For instance, in the tire code P 225/45R17 91V, the width of the tires—225 millimeters—was measured from the inner sidewall’s widest point to the outer sidewall’s widest point. You will know the aspect ration of the sidewall by looking at the two digits after the section width of the tire. For example, in the tire code P225/ 45R17 91V, the number 45 represents the distance of the sidewall, which is the measurement from the wheel rim to the tread’s outer side. Basically, the distance is 45% of the section width. When the aspect ratio value is lower, it means that you have a lower-profile tire with a shorter sidewall. Higher aspect ratio indicates a taller sidewall which makes the tire look like a donut. In our example (P225/ 45R17 91V), the number 17 indicates that the tire must be used on a wheel with a diameter of 17 inches. Keep in mind that the sizes of tires are available in these widths (in inches): 8, 10, 12, 13, 14, 15, 17, 18, 19, 20, 22, 23, 24, 26, and 28. The North American International Auto Show Never Fails to Surprise! Kindly advise whether the Wintermaxx tires can be used in the African tropical conditions and whether for both on and off-road drive, and long drives.